Magnetic Resonance Imaging (MRI) is a test that has been useful for decades in diagnosing problems of the brain, spine, joints, and other stationary organs. In recent years, thanks to newer techniques, MRI is also proving very useful in evaluating the organs that move — including the heart and major blood vessels. MRI is an imaging technique that takes advantage of the fact that the nucleus of certain kinds of atoms (most typically, the single proton that forms the nucleus of a hydrogen atom) will to vibrate, or "resonate," when exposed to bursts of magnetic energy. When the hydrogen nuclei resonate in response to changes in a magnetic field, they emit radiofrequency energy. The MRI machine detects this emitted energy, and converts it to an image, so that various body structures can be viewed in astonishing detail. Hydrogen nuclei are used because hydrogen atoms are present in water molecules (H2O), and therefore they are present in every tissue in the body. The images obtained by MRI scanning are generated as 3-D projections, and are remarkably precise and detailed. Furthermore, these 3-D MRI images can be "sliced" and each slice can examined in detail, in any plane. In some ways it is almost like doing exploratory surgery on a computer screen. Subtle differences in the hydrogen atoms between various parts of an organ — differences caused, for instance, by differences in blood flow or in the viability of the organ — emit different amounts of energy. These energy differences can be represented by different colors on the MRI display. So, for instance, the MRI offers a potential means of detecting areas of cardiac tissue that have poor blood flow (as in coronary artery disease - CAD) or that has been damaged (as in a myocardial infarction). What Can Cardiac MRI Do Today? Thanks to technological advancements, MRI has become very useful in the evaluation of many cardiovascular conditions. The advancements that have especially enhanced cardiac MRI have been gating techniques, which eliminate most of the motion artifact caused by the beating heart; and the use of gadolinium, a contrast agent injected into the bloodstream, that helps MRI differentiate various tissue processes in the heart and blood vessels. Aortic Disease: Thanks to the precise and detailed images that can be generated, MRI has revolutionized the evaluation of diseases of the aorta. These include aortic aneurysm, aortic dissection, and coarctation. MRI scanning has become a routine and nearly indispensable aid to surgical repair of disorders of the aorta. Myocardial Disease: MRI can help to characterize the nature and extent of diseases of the heart muscle (myocardium), such as cardiomyopathy. It can help to determine whether myocardial disease is caused by ischemia, inflammation, fibrosis, or some other process such as amyloid or sarcoid. MRI can also help to evaluate the extent and nature of hypertrophic cardiomyopathy. One use of cardiac MRI that is gaining traction is in the evaluation of potential “hibernating myocardium,” heart muscle affected by coronary artery disease that looks dead, but which has the potential of recovering its function. So MRI testing can help identify people with apparent permanent heart muscle damage who can actually benefit from a stent or bypass surgery. Structural Cardiovascular Abnormalities: MRI can also locate and characterize the rare cardiac tumor. And in children with complex congenital heart disease, MRI can help to identify and sort out the various anatomic abnormalities, and to plan potential surgical approaches to correcting them. Pericardial Disease. MRI can help to measure the extent of a pericardial effusion, and to evaluate constrictive pericarditis. Detecting acute coronary syndrome (ACS). MRI has the potential to assist in quickly making the diagnosis of ACS when a person has chest pain, so that therapy can begin sooner. Diagnosing coronary artery blockages. Using MRI to visualize the coronary arteries is possible, but there are several limitations that prevent its routine use today. MRI is quite accurate in detecting blockages in the larger sections of the coronary arteries, but either misses or over diagnoses blockages in the smaller sections. Newer technologies are under development that may improve this result. Diagnosing cardiac syndrome X (microvascular coronary artery disease). MRI has been used to detect abnormal blood flow to parts of the heart muscle, despite an absence of “typical” CAD. This finding gives objective evidence that cardiac syndrome x is present. What Are the Advantages of MRI? MRI has the potential of replacing at least four other cardiac tests: the echocardiogram, the MUGA scan, the thallium scan, and diagnostic cardiac catheterization. MRI does not involve exposing the patient to ionizing (potentially harmful) radiation. The images generated by MRI are remarkably complete, detailed and precise — far more so than other cardiac imaging tests. What Are the Disadvantages of MRI? Being placed in the MRI scanner can induce significant claustrophobia in about 5% of the people who have these tests. It is difficult to monitor patients while they are in the MRI scanner — for instance, the ECG is significantly distorted — so this technique is not suitable for patients who are critically ill. Patients with certain kinds of medical devices such as pacemakers, implantable defibrillators and some artificial heart valves may not be able to have MRI safely. However, in recent years pacemakers have been developed that allow MRI scanning. The MRI image becomes distorted by metal, so the image can be suboptimal in patients with surgical clips or stents, for instance. MRI technology extremely complex and expensive. 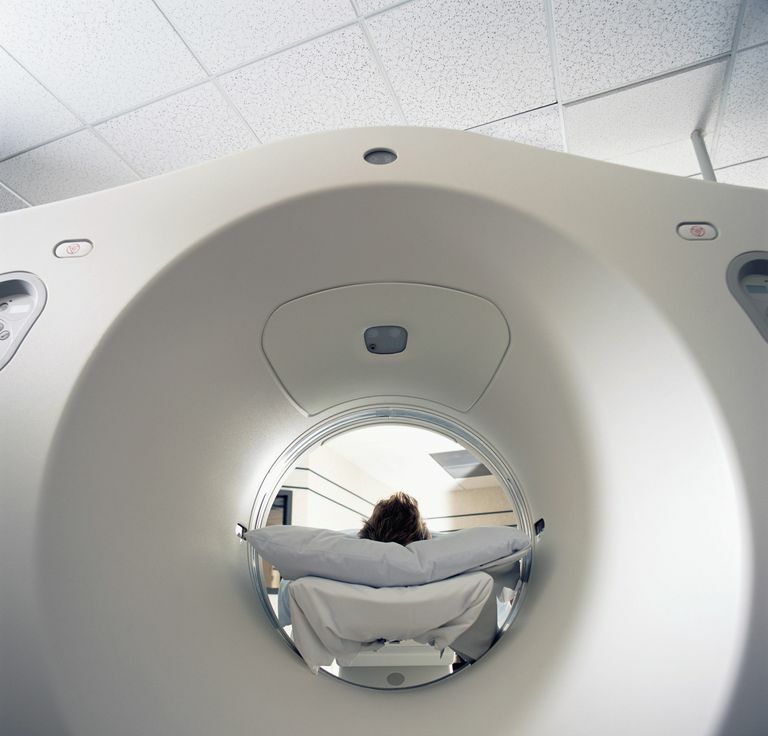 For MRI to come under widespread usage, the cost will have to come down substantially. Cardiac MRI scanning is a non-invasive imaging test that can be very helpful in defining critical the anatomy and function of the heart and major blood vessels. As MIR technology improves and becomes less expensive, it will be incorporated more routinely into cardiovascular diagnosis. American College of Cardiology Foundation Task Force on Expert Consensus Documents, Hundley WG, Bluemke DA, et al. ACCF/ACR/AHA/NASCI/SCMR 2010 Expert Consensus Document On Cardiovascular Magnetic Resonance: A Report of the American College of Cardiology Foundation Task Force on Expert Consensus Documents. Circulation 2010; 121:2462. Kramer CM, Barkhausen J, Flamm SD, et al. Standardized Cardiovascular Magnetic Resonance Imaging (CMR) Protocols, Society For Cardiovascular Magnetic Resonance: Board Of Trustees Task Force On Standardized Protocols. J Cardiovasc Magn Reson 2008; 10:35. Kim RJ, Albert TS, Wible JH, et al. Performance Of Delayed-Enhancement Magnetic Resonance Imaging With Gadoversetamide Contrast For The Detection And Assessment Of Myocardial Infarction: An International, Multicenter, Double-Blinded, Randomized Trial. Circulation 2008; 117:629. Greenwood JP, Maredia N, Younger JF, et al. Cardiovascular Magnetic Resonance And Single-Photon Emission Computed Tomography For Diagnosis Of Coronary Heart Disease (CE-MARC): A Prospective Trial. Lancet 2012; 379:453.